10 years. 10 years are an epoch. And ‘TVXQ’ have changed in those 10 years. No, they have transformed. And their new album ‘TENSE’ is a result of that transformation. ‘TENSE’ has the meaning of ‘full of nerves and tension’. 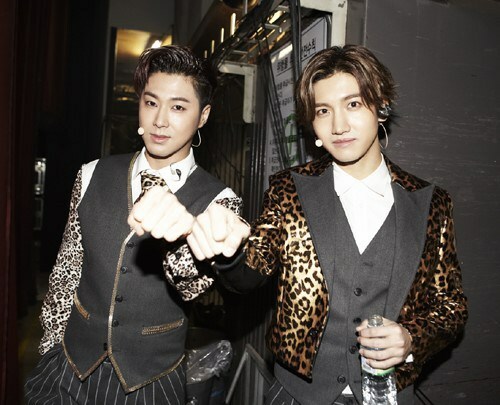 This is meant to reflect the nerves and tension that TVXQ feel when they’re on stage. It also reflects the pronunciation of ’10th’, to commemorate the group’s 10th anniversary. 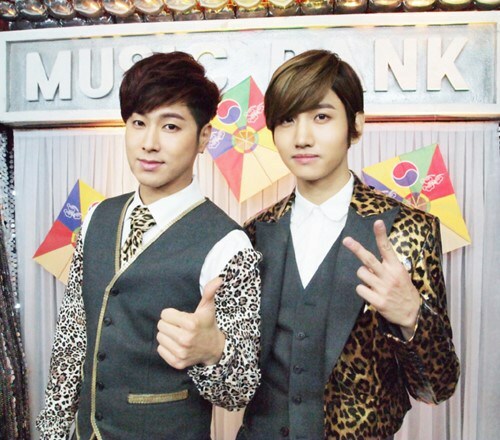 TVXQ’s change is refreshing and exciting. This can be felt through their title track’ Something’. 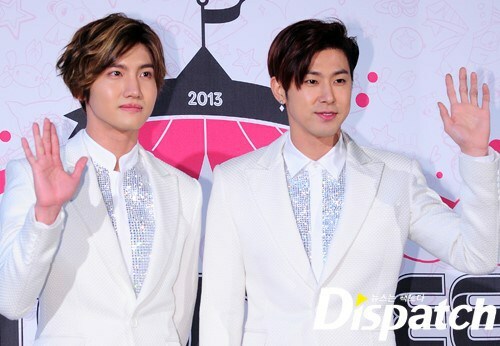 As a swing jazz song, a genre that TVXQ have never tried before, it is lively and refreshing. Completely opposite from the grandiose and strong music they’ve created so far, the song is appealing to the masses. Why did TVXQ choose ‘Something’ as the title track of their 10th anniversary album? There’s ‘something’ there that has yet to be uncovered. Here is that ‘something’ of ‘Something’, as told by the members of TVXQ themselves. Does that mean their composers have changed? A surprising story behind ‘Something’ is that is was created by the Yoo brothers (Yoo Young Jin, Yoo Han Jin). As the brothers are famous for their ‘SMP’ (SM’s signature music that focuses on powerful performances) music, fans were shocked to discover that they had written the song. Could this signify a change for the Yoo brothers as well? There’s something that can’t be left out when talking about TVXQ, and that is ‘performance’. They’ve come back with an extremely difficult dance number that uses ropes. From pretending to play the guitar to creating a boxing ring, standing microphones and the strings of a marionette doll, viewers are bombarded with an array of exciting dance moves. Each member’s style preference has been taken into account. Though the style and colors of their suits are the same, small differences have been made in the details. 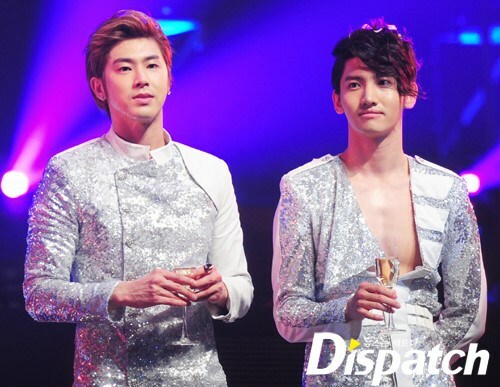 Yunho has a brighter and cuter look while Changmin prefers a more formal look. Their outfits reflect this difference. This entry was posted in 2VXQ, Dance, INFO, Interview, Jung Yunho, Momma's Boys, Momma's Music Favorites, Music, Shim Changmin, The Arts, Translation, TVXQ and tagged 'Something, 2VXQ, album, Changmin, song, Star Cast, TENSE, translation, TVXQ, Yunho by chaelwest. Bookmark the permalink.